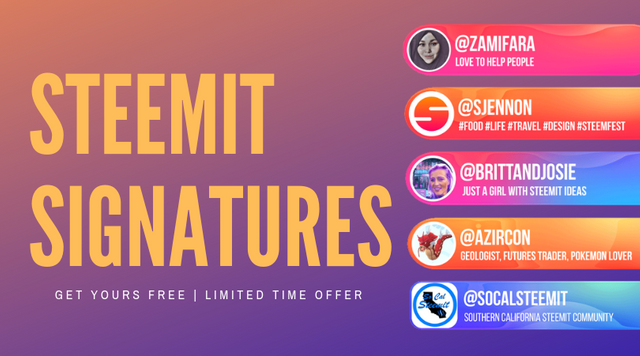 How to get your FREE Steemit Signatures? My community, @steemitbloggers AKA #powerhousecreatives is running for the 20k SP delegation by @theycallmedan once again. Last time, we came in second and this time, we are going to do our very best again. So for this contest, I want to reward everyone who supports my community with a vote in this dpoll contest. If you share this with your friends, you all get a FREE Personalized Steem Signature from me. For those of you that may still be unfamiliar with who we are... let me introduce you to our amazing little family! All you have to do is these simple steps and you get a SIGNATURE FOR FREE! 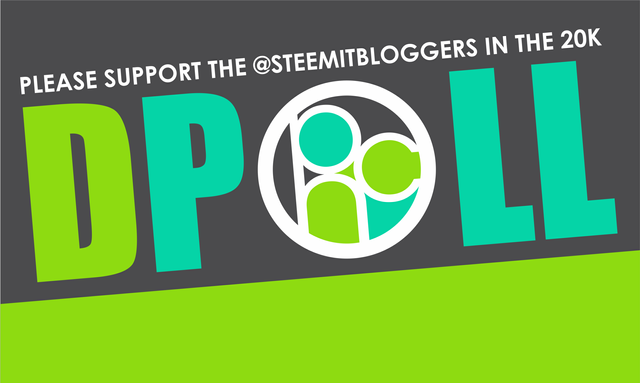 Vote for 'Steemitbloggers' in the dpoll contest. 5. Proceed to steps to redeem your signature below this post. This campaign is only applicable to Steemians who have voted for 'steemitbloggers' when this post is announced and will last until 27th February 2019. Your Signatures will be delivered within a week. Each Steemian is entitled to ONE redemption only. Once you've picked a signature, you can change to your favourite colours. You can give me any photo/logo to be placed on your signature. You can only select among these 6 designs. I will not be taking any special request for now. Send a screenshot that you've voted for Steemitbloggers to zord189#7776 on discord. After verification by me, I will create your design. When the signatures are done, you will be sent a GIF version of the signature through discord when it's done. I would like to thank all of you for your support in advance and if you would do me a kind favour to help resteem this post so it gets out far and wide. @steemitbloggers (#powerhousecreatives) is a home for many Internationally Steemians who are serious and committed to creating only quality contents on Steem. We have many members who are leaders in many other initiatives contributing daily to upkeeping a healthy Steemit ecosystem. 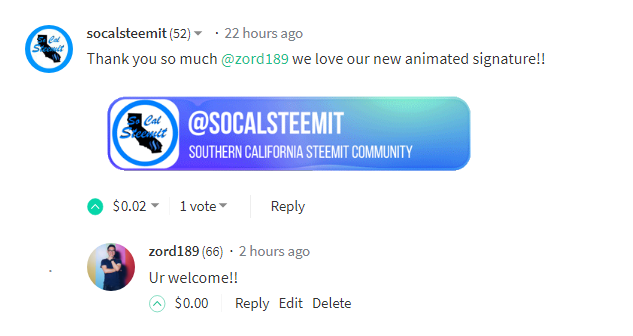 If you believe in quality content on Steem, I would appreciate it if you vote for us and get your own personalised exclusive signature along the way! Here is a post by the founder of #powerhousecreatives regarding this contest. I have a fuzzy recollection of taking you up on a Christmas / new year bargain promo for a custom signature. Please consider the past payment a small new years gift, I'm sure it had an expiration of some sort for my procrastinating with sending through my details. I would like to have one, now I have overcome my aversion to discord and figured out how to log back in. I was so impressed with myself yesterday when I cut and pasted the flashy fabulous powerhousecreatives footer. It does make my post look awesome, thanks. I'm feeling increasingly clever and creative by association already. Will vote today and spread the word. OMG? Did I missed your signature? I'm so sorry if I did. I don't remember as well... if you want one, you can drop me the details in DM. Btw, THANK YOU @girlbeforemirror for the tremendous support! I never followed up with the details. I didn't log into discord until this week. I still don't know how to create a user pic in discord. I am rocking that G, much to Jaynie's annoyance. So I need to personally DM you ?? What a great offer! I don't see how anyone could refuse 💯 All of them are are absoulutely snagalicious 😍 and in exchange for supporting the greatest community is such a win-win! 🙌 Resteemed to spread the word. 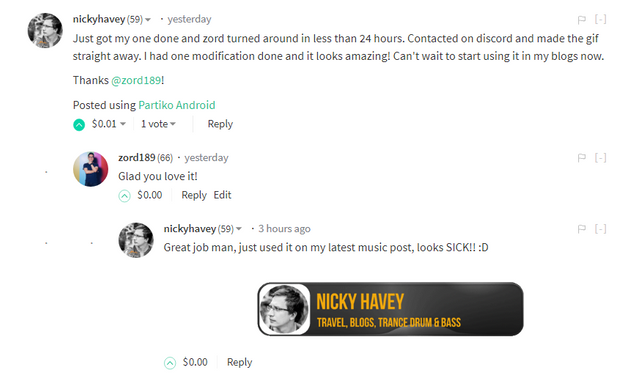 Thank you @thereikiforest for the support and kind words!! You know where to find me :) Anytime! Of course I did vote for us! 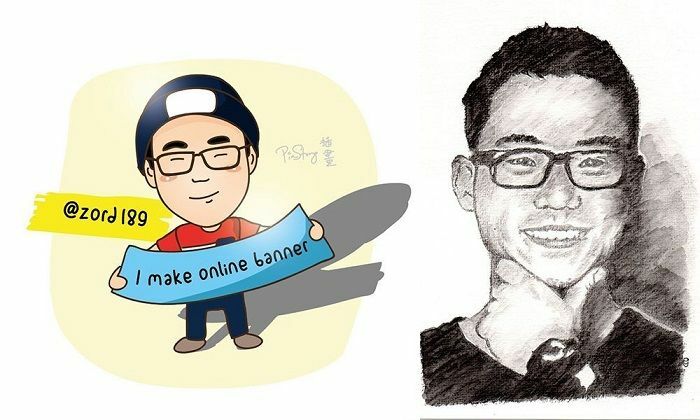 Will wait until your promotion is over and request a personal banner! Thank you! Would you like one? Zord.. the master of online banners!! sweet! Let me know ur details on discord after you've voted and share with ur friends!!! Was oder wo ist bitte "Zwietracht"? ?